Seriously, why are these rumors still a thing?? While I’m generally more interested in expanding on less discussed aspects in the Sailor Moon universe, every once in awhile I find it hard to resist the urge to confront some of the crazier fan rumors running rampant across the internet in a (probably ill-conceived) effort to set the record straight. By the nature of how these things work, it unfortunately leaves me in the unenviable position of trying to prove a negative (i.e., Bigfoot isn’t real, but it is impossible to provide evidence that it doesn’t exist),1 so if you strongly believe any of the following, I probably won’t be changing your mind any time soon. 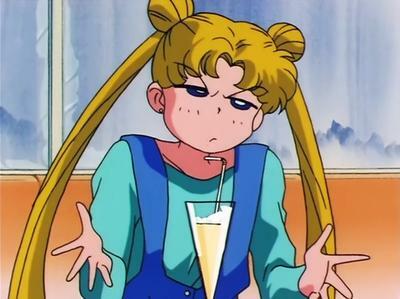 However, if we’re lucky, at the very least least I hope to open up some dialogue on how these rumors came to be, and why they continue to be repeated throughout the Sailor Moon fandom. Following in the footsteps of the immortal Doctor Beckett,2 join me on my journey as I strive to put right what once went wrong — Sailor Moon style!